The Celestron AstroMaster 114 EQ reflector telescope is a great beginner telescope for an adult or older child. It’s 4.5” mirror will provide clear and bright images of the Moon, the planets, and dozens of deep-sky objects like the Orion Nebula, the Andromeda Galaxy, the great star cluster in Hercules, and much more. 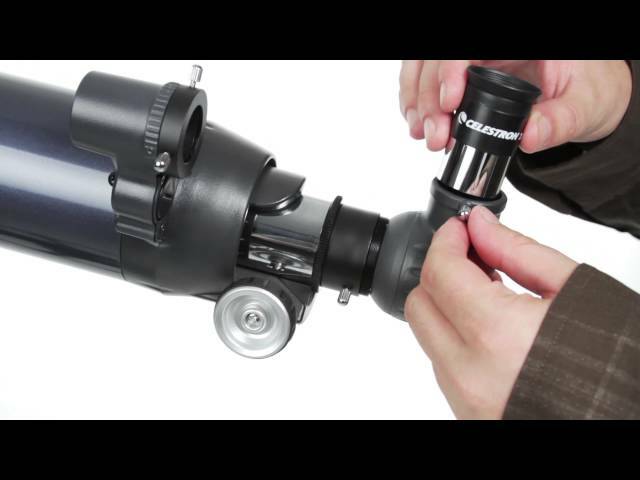 The AstroMaster equatorial mount is easy to set up and requires no tools to do so. Unlike a simple alt-azimuth mount, an equatorial mount will allow your telescope to track objects as they move across the sky throughout the night. Tracking is done manually by turning the slow-motion adjustment cables. In about five minutes you will learn how to follow the stars with this method, it is easy and intuitive. Great for Celestial & Terrestrial Use! 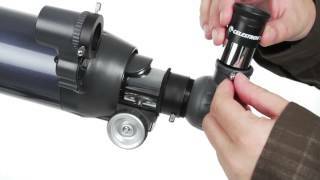 The Celestron AstroMaster 114 EQ reflector telescope is also really innovative, and here’s why. 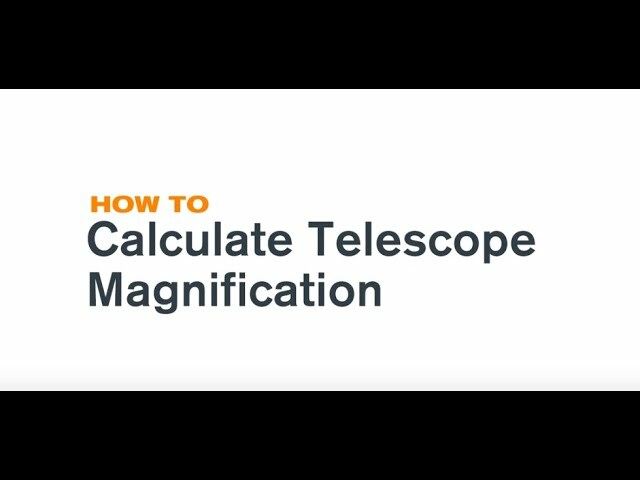 The reason most people buy Newtonian reflector telescopes is because you get a lot of bang for your buck when it comes to the size of the optics. The Celestron AstroMaster 114 EQ reflector telescope comes with a 4.5” mirror as its light-gathering source, and with optics that large, an amateur astronomer can see millions of light years into the Universe. 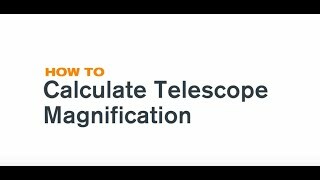 A similarly sized refractor telescope would cost much, much more and would be a lot heavier, requiring a larger (and more expensive) mount. While a Newtonian equatorial reflector telescope like the Celestron AstroMaster 114 EQ reflector telescope is super economical and portable for its size, it doesn’t work well for terrestrial use because when you look through it, images are inverted, or rotated at an angle. Normally, this type of image orientation is not correctable in Newtonians, but Celestron has created a way to provide erect image optics in their AstroMaster Series so that you can get more use out of your telescope. Set it up on your deck or patio and use it like you would a spotting scope to watch birds and local animals during the day, and then turn it skyward once the Sun sets. By the way, with the proper safety filter, the Celestron AstroMaster 114 EQ reflector telescope will do a great job on the Sun as well! An adjustable metal tripod comes with this Celestron AstroMaster 114 EQ reflector telescope. The 1.25” diameter legs can be lowered or raised via a simple lock knob located on each leg. The tripod feet are tapered to work well on any surface. A spreader bar pushes the legs outward and helps with stabilization, making the AstroMaster tripod a rigid and stable platform. The spreader bar doubles as an accessory tray, with 1.25” holes that accept your eyepieces. Comes Ready to Use Out of the Box! The permanently mounted StarPointer is a great accessory, and is included at no charge with the Celestron AstroMaster 114 EQ reflector telescope. It allows you to quickly find and center an object in its low power window, and is attached in such a way that the object you have centered in your finder will be centered in your eyepiece as well! Speaking of eyepieces, you get two of them with the AstroMaster 114 EQ package. Both eyepieces (a 10mm & a 20mm) are standard sized with 1.25” barrels that are threaded to accept planetary or moon filters should you choose to add them to your accessory collection later on. The focuser is a 1.25” rack & pinion model, making it easy to adjust focus for yourself or others as they step up to the eyepiece. Finally, you will also receive a wonderful piece of software with the Celestron AstroMaster 114 EQ reflector telescope. TheSkyX First Light Edition planetarium software can be loaded on your computer to help assist you with an observing plan. It has a 10,000 object database and enhanced images, and you can easily print out star charts that will depict the way your sky will look for any given night. The telescope tube attaches to the mount via a quick release dovetail. No tools required!